Few housing units in the U.S. are accessible for people with disabilities and even fewer are both affordable and accessible, according to a recent comprehensive study from HUD. About a third of housing in the U.S. is potentially modifiable for a person with a mobility disability, currently less than five percent is accessible for individuals with moderate mobility difficulties and less than one percent of housing is accessible for wheelchair users. Potentially modifiable units are disproportionately located in newer buildings and in multifamily buildings and in the South and West. Many areas in the Northeast with older housing stocks have very few modifiable homes, largely because of inaccessible entrances. The study concludes that the U.S. housing stock is not well-suited to accommodate the disabled or to allow people to age in place. Compounding this challenge is that as the population ages the demand for accessible homes will only grow. 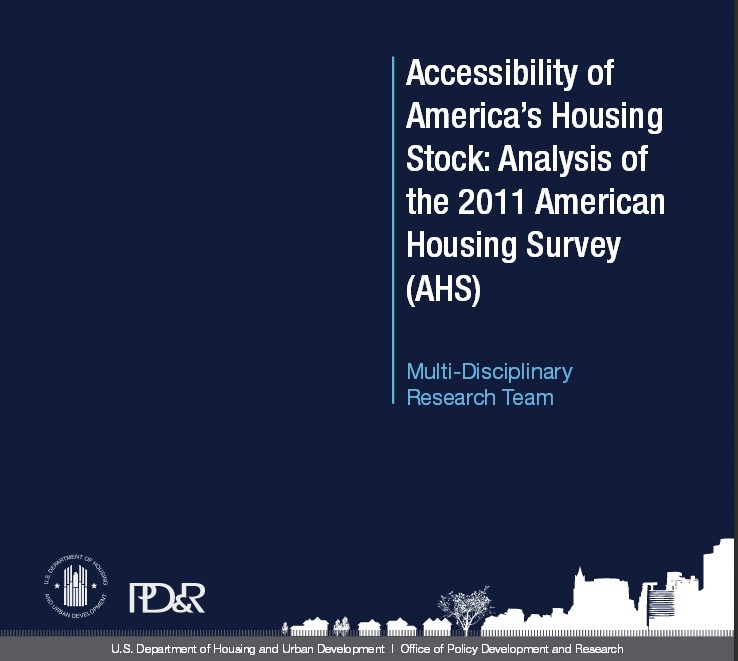 Even in the case of newly constructed homes, the report found that only a minority meets basic accessibility standards. Although information about the accessibility of Vermont’s housing stock is difficult to obtain, the number of wheel chair accessible units reported by housing managers is displayed for each property in the Vermont Directory of Affordable Rental Housing. Work is underway to expand this type of information and improve search tools for apartment seekers looking for accessible units. This is astounding that less than 1% of our homes are accessible to people in wheelchair's. This however in a way surprises me and yet it doesn't. Our daughter Leah is in a wheelchair, it's a struggle to get her around our two floor apartment and most of the time we struggle and carry her. In our community there are a total of four handicapped apartments in the whole town and as many of you know they don't move once you obtain it. They have nothing for parents on low income with handicapped children who are home being caregivers. And habitat is very strict on financial guidelines and credit scores. So at this time we are stuck in a tough situation. I really think this needs to change all of us deserve a right to have adequate housing. Let us change this to me this is just a strong a form of discrimination.